Emergencies don’t call ahead to let you know that they are coming, which is why you always need to be prepared. You can mitigate the impact of a financial emergency by taking steps every month to bolster your emergency plan. Have you given much thought to what might happen if you were faced with emergency expenses? How do you know that you are prepared to weather a financial storm? “Budgeting lets you provide a financial snapshot each and every month. It involves you tracking your spending and sticking to your projected expenses,” says Schwartz. It is literally the only way that you can ensure that you are living within your means. What’s more, having a budget lets you identify areas in which you can alter your spending to save more or pay down debt further. If you aren’t budgeting and tracking your spending, there is a good chance that you are wasting money. 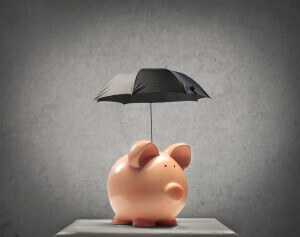 Having a budget is how you can proactively protect against the unexpected. Are you living paycheque to paycheque? 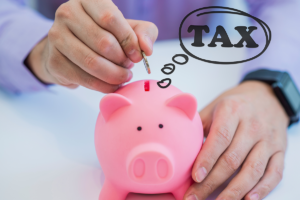 If your cash flow dries up towards the end of each pay period, you’ll run into serious trouble if you encounter even small expenses that you hadn’t anticipated. Stretching yourself thin makes you more vulnerable to financial disaster, should something beyond your control happen. Reduce your vulnerability by paying down your debt and building up your savings. Do you rely on credit to be able to buy basics, like food? Unfortunately, this probably indicates that you are spending beyond your means. While turning to credit to fund living expenses might get you by in the short term, it will catch up with you eventually. This short-term solution will spell disaster if you encounter a financial emergency because of additional strain on your scant resources. Get creative with saving money on necessities, like couponing and bargain shopping for groceries. If you’ve been neglecting your savings and experience a financial emergency, you’ll be forced to turn to credit to cover costs. Even if you are using your funds to aggressively pay down debt, you are well served to have an emergency cash fund on hand to keep your credit balances down. Insurance premiums might seem like a pain to pay out, especially when money is tight, but consider it a small payment today to safeguard your financial future. Damage to your belongings, your home, your car and your health can all come with a serious price tag. If you aren’t prepared, you may find yourself in over your head. Are you prepared for a financial emergency? Take steps to protect yourself today and start with paying down your debt. Call one of our trained credit counsellors at 1-888-294-3130 or visit our free online debt analysis.